A seemingly small derivatives detail could sink global bank wind-down plans. American and European regulators want to standardize contracts to help cross-border lenders fail smoothly. If the problem isn’t fixed, investors could undermine financial stability by calling in swaps. It’s a reminder of how much work still needs to be done to end too big to fail. The United States has given its financial regulators broad powers to wind down or restructure failing systemically significant institutions. The hope is to avoid another fiasco like the collapse of Lehman Brothers, which helped trigger financial industry chaos in 2008. Major European nations have signed onto the idea in theory. But making cross-border bank resolution work in practice is proving complicated. One formidable challenge is ensuring financial market players don’t panic. Investors everywhere will naturally scramble to distance themselves from a collapsing financial behemoth. Watchdogs have some powers to prevent traditional bank runs. But derivatives present a different obstacle. If swap counterparties fear liquidation won’t treat them kindly, they may invoke their rights to terminate the contracts early. That would further undermine an already stressed bank. To fix the problem, regulators have asked the International Swaps and Derivatives Association (ISDA) to change its master agreements that govern global swaps. If the industry group folds in some language to force counterparties to hold tight for a few days before cashing in their contracts, then watchdogs would have more time to dismantle or recapitalize the bleeding bank. Yet investors might not be thrilled to lose that liberty. Portfolio managers have a fiduciary duty to their clients, which includes redeeming swaps as quickly as possible in dire circumstances. ISDA would have to overrule that concern. If the trade association doesn’t heed regulators, all is not necessarily lost. Another way to tackle the problem would be for all nations to pass laws that force counterparties to exercise restraint on swap redemption during resolution. But that would take years, and it would be hard to ensure rules remain consistent across borders. That such a relatively small wrinkle could derail bank liquidation planning shows how far regulators still are from being able to wind down a big cross-border lender. If these sorts of technical tweaks still need implementation, then finalizing tougher issues – like deciding on the best bail-in regime – seems far off. The Federal Deposit Insurance Corp, Bank of England, German Federal Financial Supervisory Authority and the Swiss Financial Market Supervisory Authority sent a joint letter to the International Swaps and Derivatives Association (ISDA) on Nov. 5. 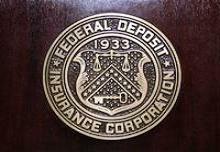 The letter asked ISDA to change language in derivatives contracts to delay early termination when a very large bank resolution is triggered. Bailing in or winding down a bank may not be possible if investors begin calling in swaps as soon as regulators take over an institution.